Online training modules for Starting your Business, Managing Your Finances and Marketing that can be completed at your own pace. Inclusion of training events by outside organizations is not an endorsement of their products by WSBDC or its resource partners. 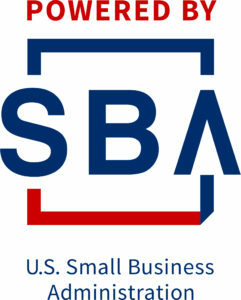 SBIR STTR America’s Seed Fund by SBA – The mobile-compatible site allows you to learn about the program through a combination of videos and text. No registration is required – and all the courses are free. SCORE Online workshops -Start-up, Business Plan, Finance, Disaster Recovery, Marketing, etc. “The Cloud: Embracing the future of business” – Hear about the benefits and complexities of backing data on the cloud, selecting the most pertinent cloud service and considerations when shopping for a cloud provider. “New markets: New opportunities” – Get the specifics of entering international, government, and online markets. “Business continuity planning” – Learn the process of identifying potential business interruptions and ways of mitigating them to remain productive at all times. “Marketing your business online” – Watch a detailed overview of establishing an online presence, including the concepts of building a website, search engine optimization and social media marketing and its platforms. Nine interactive lessons designed to help new small business owners learn their tax rights and responsibilities. Improve customer service: How to incorporate customer data and social inputs to build customer profilesthat boos sales and ensure customer satisfaction.